This is a sponsored post by Wasa. All opinions are my own. I was first introduced to Wasa crackers when I first started blogging nearly 5 years ago (wow, where does the time go?). Wasa crackers are different than many other crackers in the way that they are much larger, are made with whole grains and are pretty healthy. I was sent 4 kinds to try: flax seed, sourdough, hearty and light rye. When I first tried these years ago, I got my mom really into them. She now loves Wasa crackers and eats them often. What I like about Wasa crackers is that ther are made with whole grains and therefore are rich in fiber. They are also fairly low in calories with 40-80 calories per cracker. These are very large and can be eaten like a flatbread, also known as crispbread, or can be broken into smaller pieces. 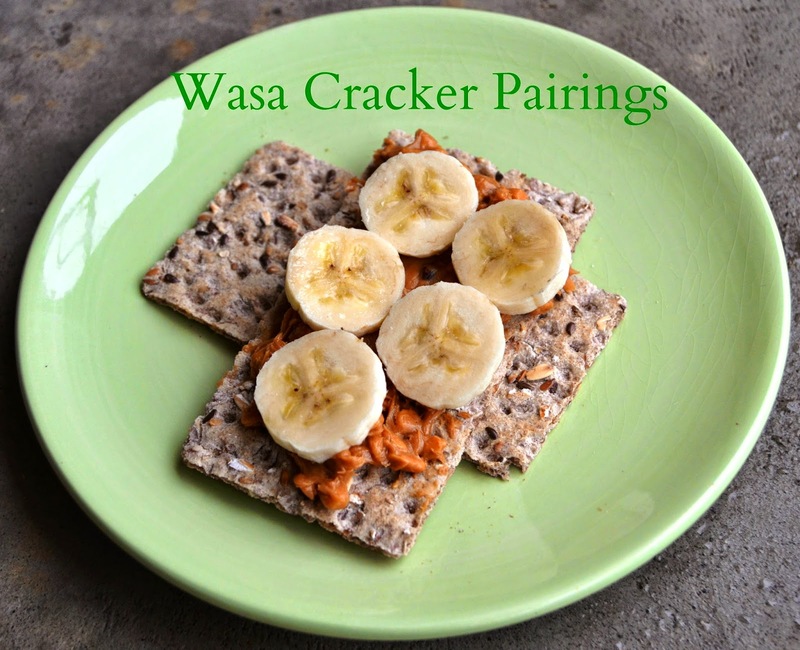 On their own, I find Wasa crispbreads a little bland but with the right toppings, they can be delicious and healthy. I love how crispy they are and they make a great snack or part of your meal. This video from Wasa called Staying Fit the Swedish Way is neat because it shows men working out by using their babies as weights. I love this! With a new baby, I have actually done this myself to do squats, lifting her above my head, etc. Adalyn loves it and it keeps her occupied as I workout. The video also shows an American woman traveling through Sweden learning about Wasa since the crackers are made there. These Wasa crispbreads are made with non-GMO ingredients. They can be used as a healthier alternative to many foods. Follow Wasa on Twitter and Facebook for more information. Okay that does it, I need to try Wasa bread now!